In 2016, on the celebration of the 483rd birthday of Cartagena de Indias, Colombia, This Is Cartagena, in collaboration with the Hotel Sophia and Fin DAC as the artist and guest author, created the mural project entitled "The Face of Cartagena". Its purpose was to find a face that represented a mix of all the faces of the city and highlighted the racial diversity among the indigenous, Africans and Spaniards. The process took several months to find the face of the city. However, on June 3, 2016, Fin DAC found in me the union of these three worlds. As explained by Fin DAC in an interview with the regional newspaper El Heraldo: "This face represents Cartagena because it shows the mix between the Spanish world, the African world and the indigenous world, which gave rise to what is now this city. In addition, the image shows a strong woman, but at the same time a sad woman, which is an aspect that, for me, represents much of Cartagena”. As a result of this inspiring cultural project, my name and who I represent has taken on multiple meanings. It is symbolic of the plurality of my people who have since recognized me as "The Face of Cartagena”. 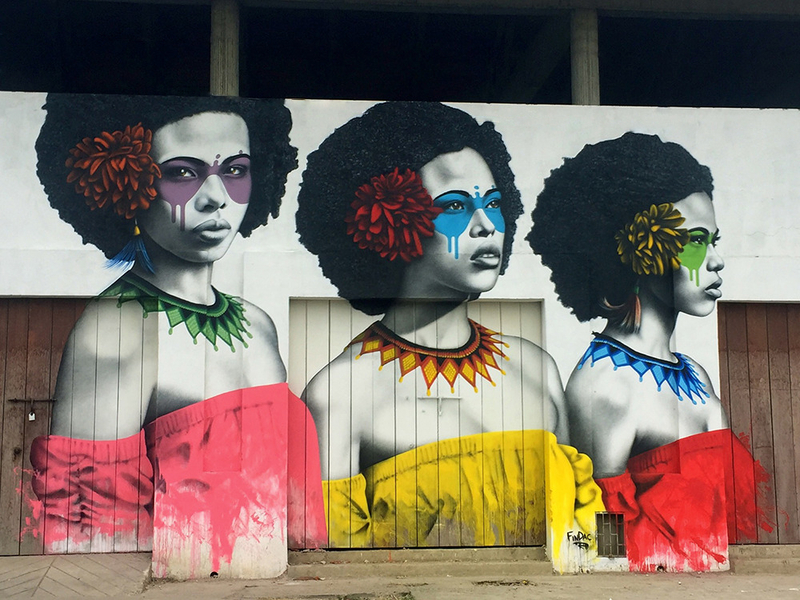 The creation, which was donated by Fin DAC with the intention of making an artistic intervention in a public space, took the name of "The Three Warriors" and is located in the sector of El Pedregal in a neighborhood called Getsemaní. Fin DAC also portrayed my image on a canvas that is now part of the permanent collection of contemporary art of the Historical Museum of Cartagena. In addition, he made a creative tour of the United States to create another mural in Bushwick Brooklyn, New York. The work is titled "The Watcher" and is characterized by a similar artistic concept: a woman standing upright, fighting, resisting, observing, and directing while watching over her territory.